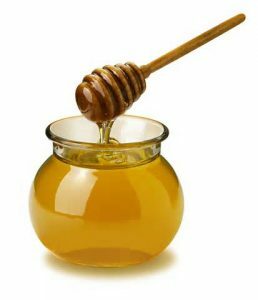 November 2016 - Liftomatic™ Material Handling Inc.
What’s the Buzz on Honey Production in the US? Honey bees are famous for being busy. They not only produce honey, which is a staple in the diet of most US based families, they also pollinate many of the plants that feed people around the world. In 2010 these bees with other pollinators of their kind were responsible for $19 billion of agricultural crops in the country. That is a major chunk of the GDP as well as the food supply. Unfortunately the past several years haven’t been kind to honey bees. And unless the government, honey consumers and third party service providers like packers do not come together to enforce stricter laws and the use of bee friendly pesticides, the US may be in for several more instances of honey bee colony collapses. Research by the USDA has confirmed that 44% of honey bee colonies have been decimated across the United States in 2015. This is a major blow because controlling bodies and bee keepers were optimistic of seeing an improvement in the attrition rate after concerted efforts to conserve the bee population. In general about 30% of bee colonies are lost in extreme weather. But the increasingly higher number of die offs is not the norm and indicates a need to investigate further. The general consensus identifies neonicotinoid pesticides as the culprit. The EPA is finally in the process of taking action against the use of bee killing chemicals but it is likely to be a while before the positive effect of this policy change is evident. Illegally imported honey is another issue plaguing the honey production sector and bee keepers in the US. Since nectar production is suffering because of the unusual die-offs but the demand for honey hasn’t decreased, there is a gap in the market which is being filled by illegal honey imports from countries like China. This is detrimental to the local industry and bee keepers are being pushed to keep up with the requirements of the nation so that fraudulently procured honey doesn’t play with the health of consumers. There is some good news though! True Source LLC has developed an independent certification through which all contact points in the honey supply chain can work together to eradicate the problem of illegally imported honey. This certification traces the origin of the honey being consumed from the buyers to the retail distributors to the packers to the bee keepers and each phase of the operation is defined by certain quality criteria which must be adhered to. Things may not be optimal right now but experts believe that the awareness around the plight of honey bees and the malpractices in the honey production industry will lead to revolutionizing of the sector followed by an upsurge in both demand and supply. Liftomatic has been the market leader in material handling equipment for the past 60 years. We are ready to serve bee keepers and honey handlers with state of the art drum handling equipment that can be used in just about all phases of the supply chain.